Where did Michael Jackson go? I have never been a fan of Michael Jackson. I gave my heart fully to the Lord before I heard of him, and he simply never interested me. Elvis Presley was “the idol” in my teenage years. So when the terrible trial of alleged child molestation dominated the news in 2004-2005, it was hard for me to feel anything but disgust for Michael Jackson. 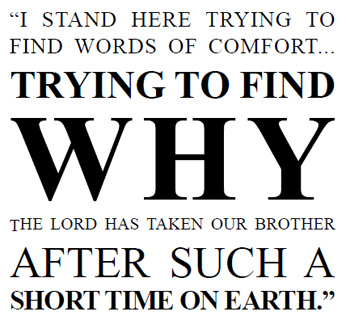 Watching his funeral on TV, I found myself trying to dissect from a spiritual standpoint what I was seeing. 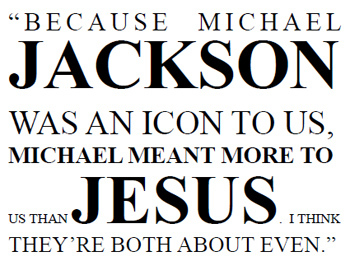 First of all, it became clear Michael Jackson had done a lot of good things in his lifetime. According to news items, he gave large sums to charity, wrote outstanding music on the subject of world peace and helping children with AIDS, and was considered a true humanitarian. His famous friends all report that he was a great friend, a gentle and kind man. What is certain, he was a musical and entertainment genius. God had endowed him with incredible talents and gifts which he used to write songs, create unusual dances and produce all kinds of creative media. But, as so often happens with men and women possessing genius but no moral compass, he was unable to retain his equilibrium as to what was wise and right. He soon learned that the more bizarre and eerie his performances, the greater his acclaim as a brilliant entertainer. 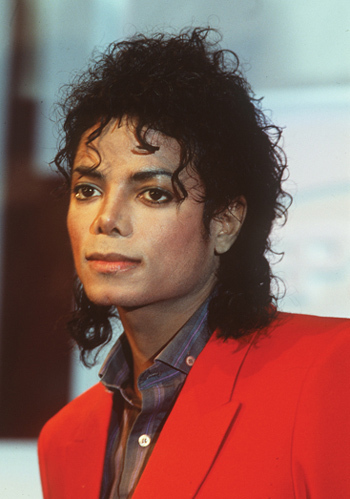 In 1984, he produced a video clip called “Thriller” which launched Michael as a world-class entertainer. In this 15-minute video, he became a werewolf who joined many dead monstrosities who came out of their graves as ghosts and spooks. This was his all-time best selling video and put him on the map by breaking through the racial barrier on MTV. “Thriller” sold 50,000,000 copies. Today I watched “Thriller” on Internet. I felt encrusted with filth after seeing it. The faces were faces of demons; the words of his songs were from the kingdom of darkness. Jackson was a very handsome entertainer. He had a nose job done and began to bleach his skin, stating that he had a skin disorder that destroyed the pigment of his skin. And then, in the most extraordinary way, he began a series of plastic surgeries over a number of years, which like the horror films he produced, turned his face into a demonic disaster. It’s as if he were possessed by an evil spirit that drove him to sculpture his face more and more like the spirit itself. “Michael Jackson’s parents were Jehovah’s Witnesses. Michael was born a Jehovah’s Witness, and practiced this religion for a short period of time up until his hit “Thriller” was released. In 1987, when the Jehovah’s Witnesses criticized his album, Michael Jackson announced that he was no longer a member of this religious following. ”He briefly took interest in Islam when his brother Jermaine converted to that religion. There is speculation that Michael Jackson himself converted in November 2008. However, no official statement or confirmation of these rumors has ever been made, or been publicly released by him or his publicists. For a brief period of time he wore a red string on his left wrist, a symbol of Kabbalah,” a mystical Jewish philosophy full of witchcraft. Alas, there is nothing anywhere in Jackson’s life that would testify of his having had any personal relationship with God or born again experience, giving him assurance of salvation. In 1993, a father accused Jackson of molesting his 13 year-old son, but settled out of court for $20,000,000. In 2003, he was arrested and handcuffed on several counts of child molestation after publically stating that he had shared his bed with children. The jurors acquitted him on all charges. 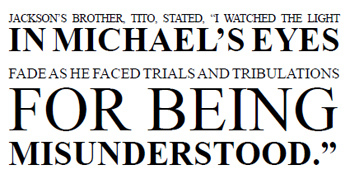 By this time, by all accounts of close friends, Michael was addicted to a variety of powerful and dangerous drugs. And he looked absolutely ghastly, each plastic surgery increasing his grisly looks. Surely he had to be drug-influenced when giving instructions for his mutilation. God gives gifts to men and to women. They can use them to glorify God or they can use them to glorify themselves, which always means selling out to the one who came to steal, to kill and to destroy. Such artists as Madonna have been given incredible gifts. But Madonna, like Jezebel, has chosen to seduce the world to all that is evil through her talents, even to blaspheming the Messiah. With the world going down hill at the speed of a shooting star, we must take the word of God as our Light and Instruction, our Rock, no matter how we are mocked by the world. Yet the funeral loudly proclaimed the love of God. Indeed, at first you might have mistaken it for an old fashioned camp meeting celebrating the death of one of God’s saints. There were prayers and references to God and the love of Jesus from beginning to end. Everybody there believed in God. There seemed to be no atheists or agnostics in all the crowd of 20,000 who cheered and shouted amen to every reference to God. Eulogizing Jackson’s achievements, Rev. Al Sharpton began his speech with “All over the world today people are gathered in love vigils to celebrate the life of a man that taught the world how to love.” He credited Jackson with beating down the racial barriers and allowing personalities like Oprah and golfer Tiger Woods to rise to stardom. Perhaps. There is no question his talents were enormous. As the final song, “We are the world” was sang by all the stars together, symbols of every kind of religion were projected on the screens: Christianity, Judaism, Sikhism, Shintoism, Hinduism, Islam, Buddhism, Baha’i, Confucianism, Jainism, Germatic Paganism and more. The huge screens dazzled the audience with colorful symbols of crosses, the Star of David, Ying Yang, Wicca, Hamsa, the lotus, the peace symbol, etc. And here is what I found most amazing. In all the religious fervor at the funeral, there was nary a word about sin, about wrong doing, about breaking God’s heart by turning our backs on Him and living for ourselves. They never mentioned that you can’t serve two masters. Jermaine, Michael’s brother who converted to Islam, wrapped up the ceremony by thanking the crowd. all the religions of the world - a full-blown New Age Christianity. It was the ultimate in a warm fuzzy one world religion. And since human nature is unchanged over the centuries, we see these same religious creations in Bible days. The books of Judges, Kings and Chronicles are full of such behavior. In years past, black Americans suffered under incredible slavery and bigotry. But through all their affliction many had an especially deep revelation of the love of God. They knew the meaning of being a child of God because they obeyed His Word. They knew what salvation was. They knew what it meant to be a sinner saved by grace. Then as a joyful act of thanks to the Lord, she said, “I had wholly dedicated the silver from my hand to the Lord for my son, to make a carved image and a molded image.” She took 200 silver shekels and gave it to the silversmith to make some household idols. The next verse says, “In those days there was no king in Israel; everyone did what was right in his own eyes.” Today, New Age Christianity among many in America means doing what is right in one’s own eyes. No sense of right or wrong. Just succeed in what you want to do in life. If you succeed, God is pleased. Such behavior led Israel to disaster. What will it do to America? To all post-Christian countries? I think of the four different ministers who spoke at that funeral. Have they wandered so far from God’s word? The children of Israel thought they were still serving God. They did not think God paid attention to acts that were in defiance of His Word. Eli the High Priest had two sons who were also priests dedicated to the Lord. But they were immoral. They slept with women coming to worship God and they mocked God’s tabernacle, the place where He resided. The religion that I saw at that funeral - which was seen around the world by 31 million people, second only to Princess Di’s funeral, plus untold millions on Internet - is not the faith of the God of the Bible. Every soul that goes into eternity without the King, is a tragedy. For one soul is worth more than the whole world. Michael Jackson, with his gifts, was a jewel - that was robbed and destroyed by the lies of the evil one, a colossal waste of life and talent. 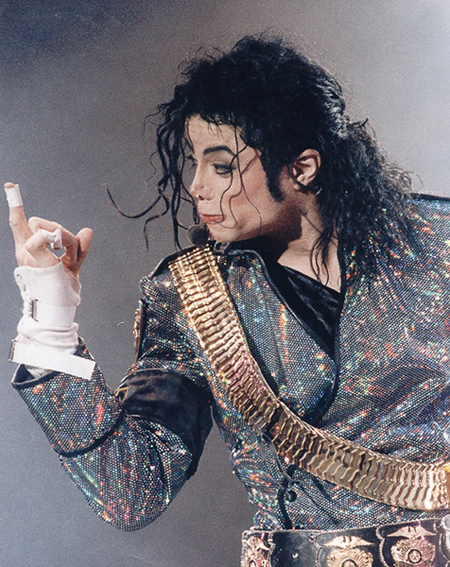 The king of pop, perhaps the greatest entertainer the world has seen, spent only 50 years on this planet. Outside of a last-minute cry to God, his New Age Christianity, or any other religion he was attracted to, will not help him. Now he has an eternity to think about what he did and didn’t do. 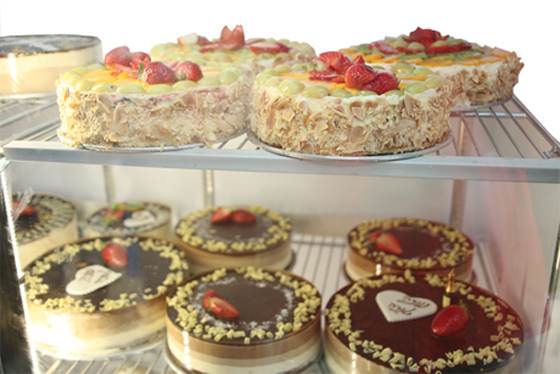 Pnina Conforti, a committed Messianic Jew, was shocked and hurt when the kosher license of her bakery in Ashdod was revoked by the Chief Rabbinate of Israel over three years ago. 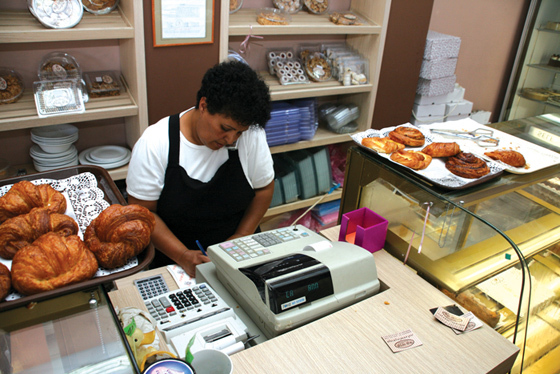 She was shocked because her bakery, “Pnina Pie” strictly abides by the kosher laws in Judaism. Since this decision of the Chief Rabbinate caused her business to lose about 70% of its clientele, she had no choice but to turn to the Israeli courts for relief. The only reason given for the denial of a kosher license? Pnina’s faith that Yeshua is the Jewish Messiah. 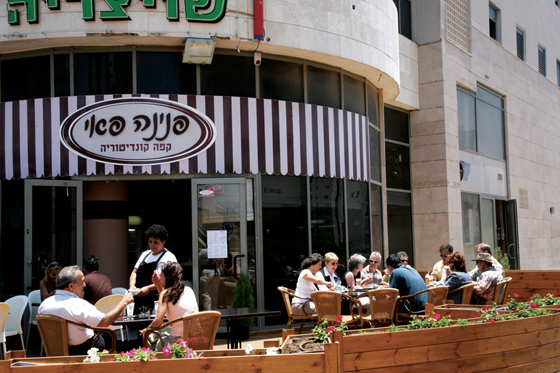 with a benchmark decision forcing the Chief Rabbinate of Israel to grant “Pnina Pie” a kosher license. The judges emphatically rejected the claims of the Chief Rabbinate’s counsel, which received the support of the Attorney General of Israel, that it is impossible to trust Messianic Jews to uphold their commitments before the Rabbinate, since they are “apostate Jews”. According to Justice Danziger, the Rabbinate’s decision was “unreasonable, disproportionate” and “impossible to support”. The Jerusalem Institute of Justice wants to applaud the Israeli High Court of Justice for upholding equality, democracy and justice in this case. We rejoice with Pnina in this victory and achievement which will undoubtedly positively affect the restaurants, bakeries, catering services and other food businesses owned by members of minority religious streams in Israel. The Rabbinical authorities in Israel have endless funding from the Israeli government to harass believers legally and illegally. They do so because they believe the Messianic Jews will not have the finances to challenge the infringements on their basic humans rights in a nation that loudly proclaims its democratic values. Contributors of Maoz together with two other charitable organizations, made it possible for Pnina and Israel Conforti to contest this injustice and win! Thank you, Maoz contributors!! We have received a great victory from the hand of the Lord through the Pnina Pie court case. A victory that will benefit the Body of Messianic Jews throughout Israel. Most of the funding to fight this persecution for the last three and a half years was from you - our Maoz partners! In spite of the elation we feel today, we are fully aware that the ultra-Orthodox’s war against Israeli believers is just warming up. It is very possible that the Chief Rabbinate will NOT give Pnina her kosher license, even though the highest court in our country has ordered it to do so. If she does not receive her license, then we will again have to help Pnina file a contempt of court charge against the rabbinical authorities. Again, the Chief Rabbinate will assume that Pnina does not have the funds to retain a lawyer for another drawn-out court case. They will suppose that they can wreak havoc on the Messianic community throughout Israel, because we will not have the finances to stand up to them in court. For the Chief Rabbinate, any Jew who believes in Yeshua as Messiah is anathema. Believers are automatically called “missionaries,” a word that scares most Israelis because of continual brainwashing of the public by rabbinical authorities. In their ultra-Orthodox “dictionary” the word “missionary” means a paid agent from some Christian organization that is attempting to spiritually destroy the Jewish nation by decreasing the number of Jews in the world through converting them to Christianity. The ultra-Orthodox claim that missionaries are the successors of Hitler who attempted to physically destroy the Jewish race. This frightens most Israelis to such an extent that they are afraid to consider Yeshua as the Messiah of the Jewish people. But the ultra-Orthodox are not satisfied with just propaganda. Their spirit of fanatical ultra-Orthodoxy is very similar to the fanatical Islamic Taliban spirit. Their goal is “ethnic cleansing” - to deport every single Messianic Jew in Israel - and they are determined to harass those who do not leave with tactics such as demonstrating in front of their homes with bullhorns, getting them fired from their jobs, or scaring them and their neighbors by plastering posters with their pictures all over their neighborhoods. Or much worth as in the bombing of 16 year-old Ami Ortiz. However, our marching orders are to continue to share the Word of God, to continue to evangelize the people of Israel, to continue to build up the congregation and to continue to cooperate with other Israeli Messianic organizations in every way possible. When enemies came to prevent the rebuilding of Jerusalem, Nehemiah instructed his people to use one hand to do the work and to hold a weapon with the other. Therefore, we too, will do all in our power to use the courts to protect the religious and civil rights of God’s people here in the land. So we invite you, our faithful partner, to help us build up the istandwithisrael.com fund, which will not only bless the poor among the believers, but will give us the ability to stand against the malicious attempts of the ultra-Orthodox to destroy the Messianic Jewish community in Israel. The growth of Maoz and all that we are doing is because we have faithful partners like you who believe as we do - that God will save all of Israel. Your gift every month demonstrates to us strongly that you want to be a part of God’s plan to proclaim the Good News! This month your gift will strengthen the cause of our work in the land and provide valuable assistance to those who are being persecuted because of their faith. Check out our Pnina Pie video on our website!